Tired of manually turning on the garden irrigation? Or want to smart-up that old "automatic" system which runs both on rainy and sunny days. 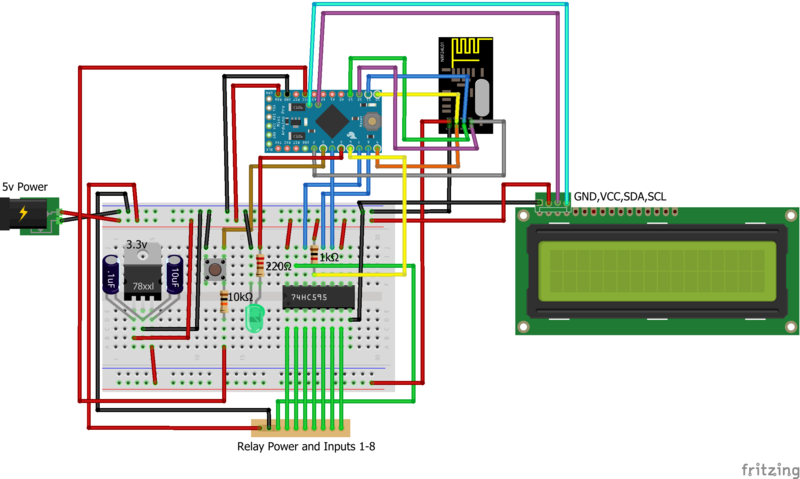 Now you can build your own MySensors-enabled irrigation controller. Wirelessly connect it to your smart home automation controller where you create the rules when it actually should run or not. Why not use a rain sensor to smart things up even more? Big thanks to BulldogLowell and PeteWill for creating this amazing project. You can read the background story on the forum. A video showing how to build your own irrigation controller. NOTE: The code referenced in this video is out of date. Please use the code below with the current MySensors library and the Examples Libraries.